Last year I took a fascinating seminar on haptics taught by Vincent Hayward of the Centre for Intelligent Machines at McGill University. For my final project I equipped the first of the soprano T-Sticks with a vibration actuator with controllable frequency, magnitude, and phase of vibration designed by Vincent and Hsin-Yun Yao. 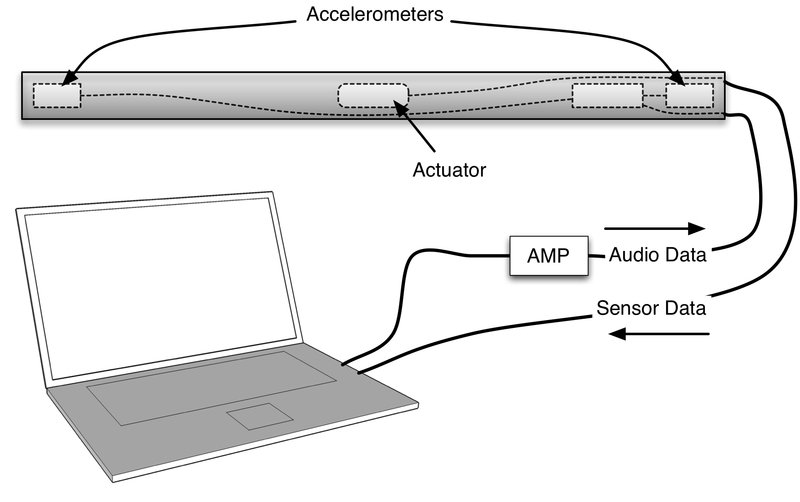 Inspired by a paper they published in Eurohaptics 2006, I adapted the T-Stick software to use vibration to create the illusion that there is a ball rolling inside the instrument – the details are described in the project report. Versions of the T-Stick DMI with programmable vibrotactile feedback will now be used both for performance and for research at McGill on Enactive Interfaces.